Beneath the cellphone face is a .22 calibre handgun capable of firing four rounds in rapid succession using the keypad. European law enforcement officials are stunned by the discovery of these deadly decoys. 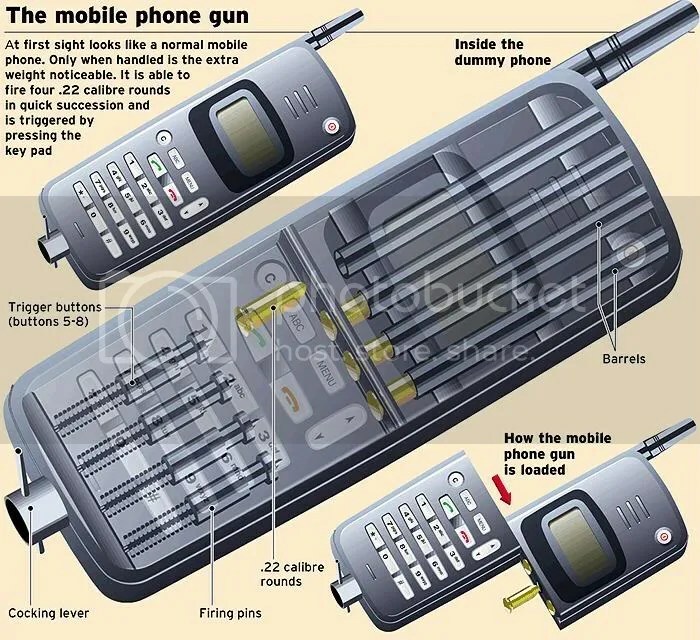 They say cellphone guns are changing the rules of engagement in Europe. Only when you have one in your hand do you realize that they are heavier than a regular cellphone. How is this good use of technology? Sure tha world is changing sec afta sec. Thanx 4 tis infmation.